Smart Trader has a fixed set of rules that tell it when to trade. Based on this rule we are able to measure the average draw-down for every trade placed. If the average draw-down on a pair is 100 pips and we don't want to hit our stop "if at all possible", then you may want to set your stop loss for that pair beyond the average. Example: If the average draw-down is 100 pips, your stop could be 200 pips. This gives most trades for that pair some room to breath without hitting the stop and becoming a losing trade. The data on the charts below give you information on how to set your stop loss for each pair on Smart Trader. 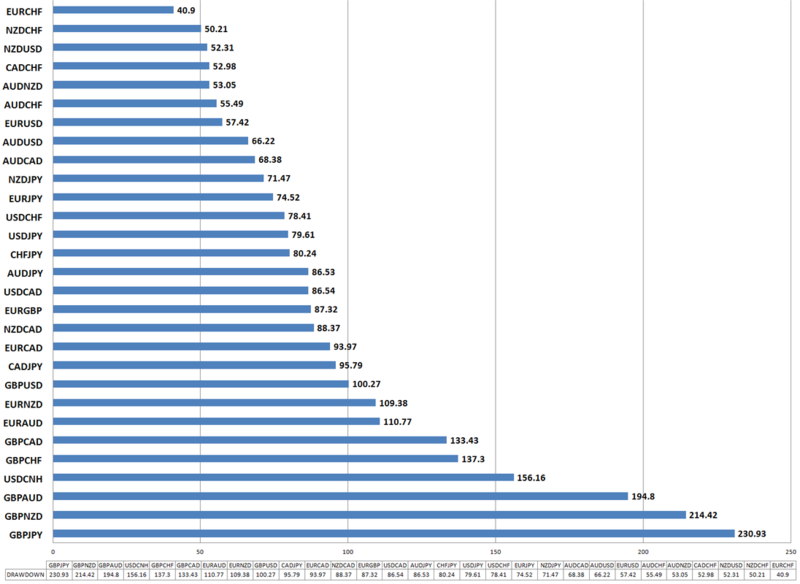 The data on the chart below shows the average of how far an open order goes backward before it retraces and hits its Take Profit. 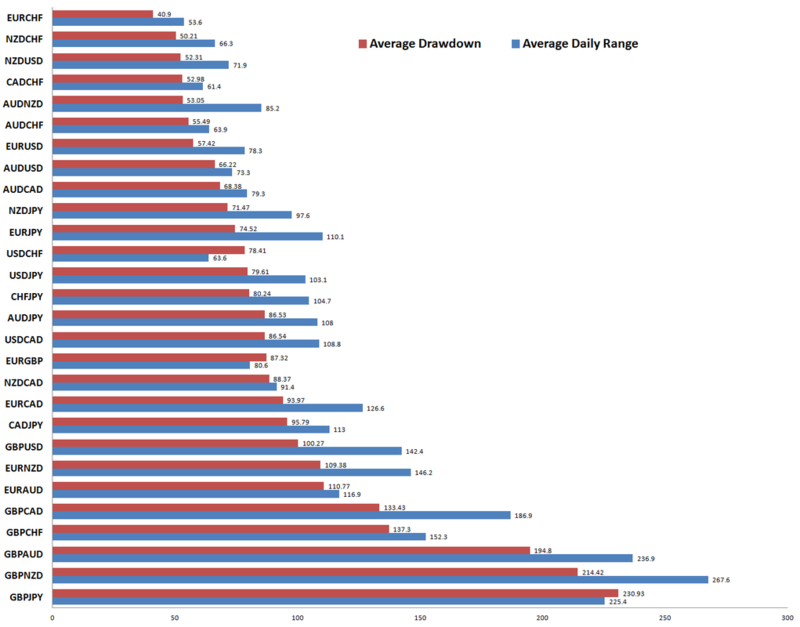 This has the same data as the chart on the left but we have added the "Average Daily Range" of the corresponding pair. The pairs are sorted by smallest draw-down to largest. The pairs with the smallest draw-downs may offer the least amount of risk. So a conservative account could use pairs with the smallest draw-downs and in a balanced manner. Balanced Manner refers to not over trading pairs over representing one country over another. If we use 200% of the average draw-down as the number we use for the stop loss on each pair then we want to to choose 6-10 of the top producing pairs with the smallest draw-downs for our test account.